As Senior Vice President, Engineering and Technology, Nick Parsons is responsible for advancing the core technology and creating customer solutions to support the strategic vision of the company. Mr. Parsons is responsible for directing the overall Polatis product development program, ensuring products meet or exceed customer expectations. Nick Parsons has over 20 years experience in the defense, aerospace and communications industries. Prior to joining Polatis, he served as Vice President and Programme Director at Marconi Optical Components. 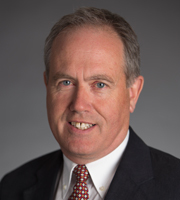 Previously, Nick held senior roles within the Avionics Group of BAE SYSTEMS (now SELEX Galileo), latterly serving as Technical Director of the Electro-Optic Systems and Tactical Products Divisions. In his early career, he managed R&D divisions of GEC-Marconi in photonics & microwave technologies and has over 40 papers and 10 patents in the field. As Finance Director, Head of HR & Legal, Nick is responsible for the financing and financial strategy of the business, which entails day to day management of cash as well as ensuring the company has sufficient funds to succeed and maximise its return on investment. He also has responsibility for financial control and HR. Nick has been a financial professional in the technology sector for 15 years. His first five years were spent with ARM Holdings Plc, where he became Group Financial Controller seeing the business through a dual IPO on NASDAQ and London. He was also heavily involved in acquisitions as well as investor relations. Following this Nick has held CFO positions in businesses were he has gained coal face experience of fundraising in the venture capital market place, raising both debt and equity finance. He now has all the skills and contacts to provide SME technology businesses with the financial support and expertise they need to help maximise their value. 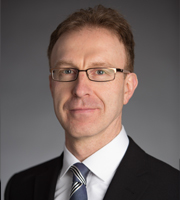 Nick holds a BSc in Applied Mathematics from The University of St Andrews and qualified as a Chartered Accountant with PwC. As Vice President, Strategic Operations and Projects, Steve is responsible for the delivery of our strategic objectives; to harness and exploit our technology through coordinated improvements to our products and processes, while all the time being particularly focused on reducing product costs and scaling capacity to ensure that our customers receive a world class customer experience. Steve has 25+ years of senior management experience in the telecoms market with Celestica, JDSU, and e2v, where he was most recently Group Operations and Quality Director with a 1,000 person team reporting to him. 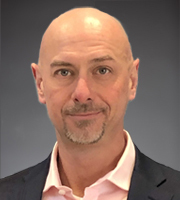 Erik Leonard, as Head of Sales and Business Development, provides leadership and guidance to the Polatis and Huber+Suhner sales teams responsible for worldwide sales and support for all-optical switching solutions. Erik’s career is marked by success in sales leadership at multiple high growth technology companies. Most recently, Erik was SVP of Sales and Business Development at Calient Technologies, a provider of all-optical switching systems that was acquired by Chunxing Precision Mechanical, where he was instrumental in building a strong base of tier one service provider and data center customers, as well as a worldwide partner program. Before Calient, he held senior executive sales positions at Lineage Power (acquired by GE Energy), On2 Technologies (acquired by Google), Narus (acquired by Boeing Skunkworks), Cisco Systems, and AT&T. As Market Manager, Drew is responsible for setting market strategy and product alignment and leveraging HUBER+SUHNER global sales. 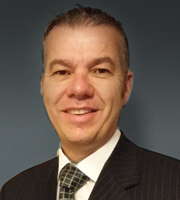 Drew has over 25 years experience in Optical Connectivity and Cabling Sales and Market Management. Drew joined HUBER+SUHNER UK in 2004 as a Field Sales Manager after spending more than 10 years with Tyco Electronics (AMP). From 2007 until 2016 Drew worked for the Fibre Optics Division of HUBER+SUHNER AG Switzerland as Market Manager for Cell Site and was responsible for setting global strategy, product alignment and business development for the Mobile Telecommunications Market specializing in Remote Radio Head and Small Cell installation systems.